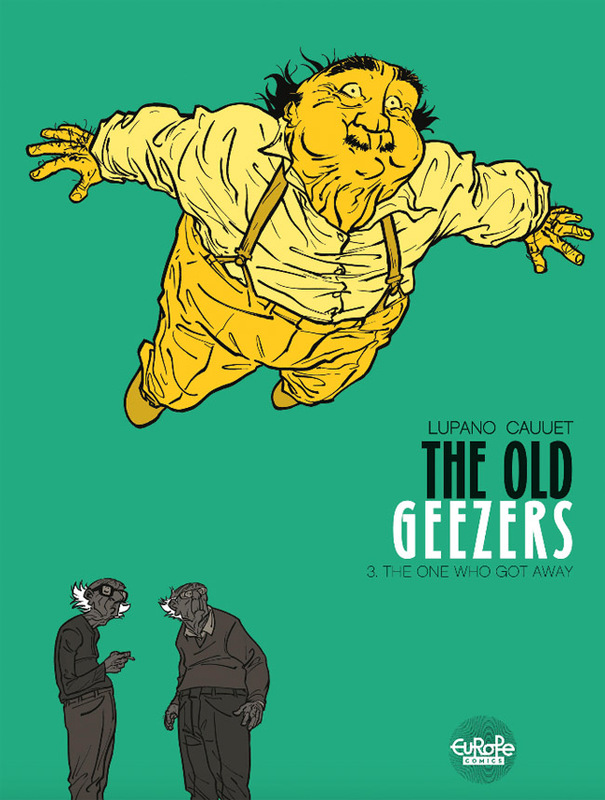 Writer Wilfrid Lupano and artist Paul Cauuet offer up the intricately plotted Old Geezers graphic novel series. You can easily jump into the latest Book 3, “The One Who Got Away,” and enjoy a tale involving family, mystery, and more than a touch of whimsy. It is also a grand ole tale of comeuppance. Could that be for the Old Geezers themselves? Ah, time will tell since this is very much a story about how time can heal some wounds while allowing others to fester. Antoine and Milsey trying to get along. If you enjoy quirky humor, especially the sort led by a group of offbeat seniors, then this is the book for you. The Old Geezers are: Antoine, a buttoned-down patrician; Milsey, a old seaman who misses the sea; and Pierrot, a boisterous activist who is lively beyond his years. These guys have chosen different paths but, in the end, each seeks out the other. The one person who helps keep them on track is Sophie, Antoine’s granddaughter. Sophie must look after these guys and, in no small way, look after her little hamlet of Dourdouille. After all, there are sinister forces at play lurking in the shadows. Pierrot, Fifi, and Baba take a stand! The most sinister villain in this tale is Garan-Servier Pharmaceuticals. It holds sway over the growth or decline of Dourdouille. And, as Pierrot has found out, Garan-Servier is lobbying the European Union countries to ease up on restrictions on its pesticides. This, in turn, kills millions of bees, wreaking havoc on biodiversity and the environment. The relationship between the pesticide lobby and the EU is an inconvenient truth that, in reality, is all too real. 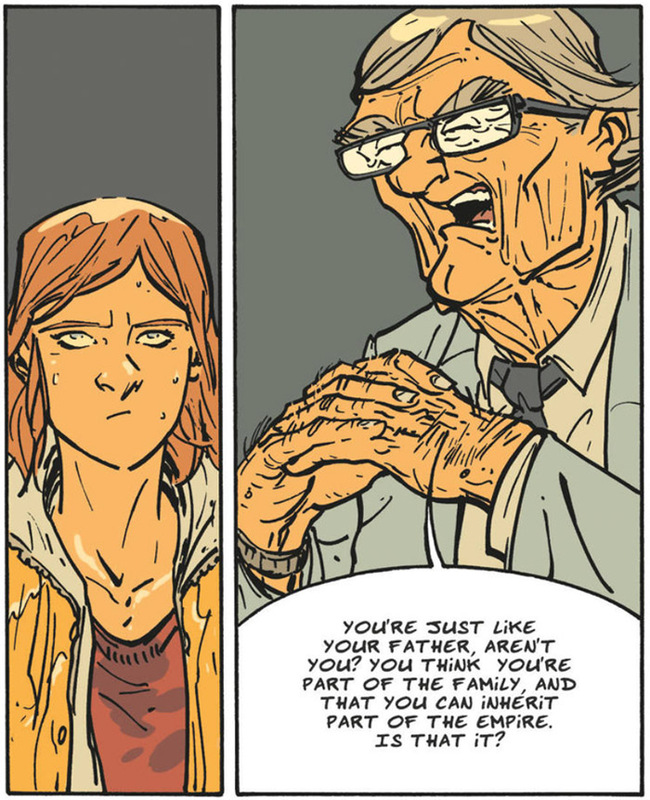 It’s great to see this issue in a graphic novel that both entertains and informs. 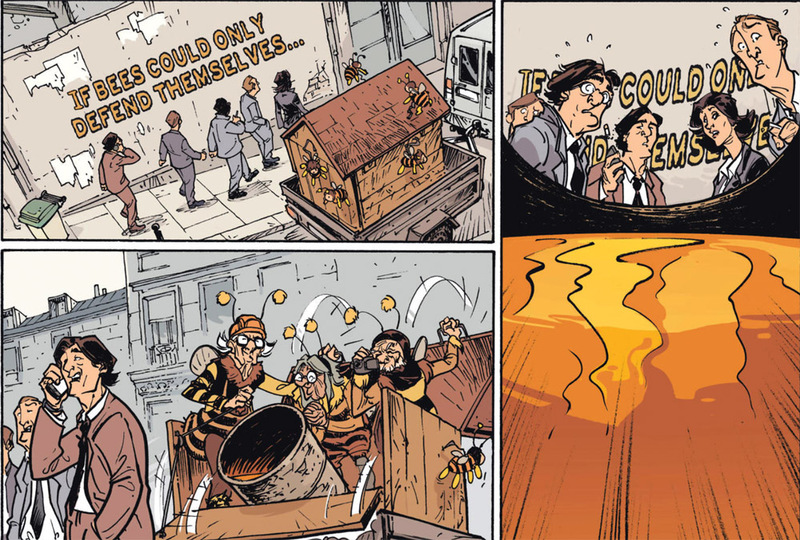 Readers won’t forget ole Pierrot, in his bee costume, speaking truth to power. The weight of the world on Sophie’s shoulders. Paul Cauuet’s light and warm style makes all the characters all the more accessible and compliments Wilfred Lupano’s script. This is a very character-driven tale that is masterfully crafted by this remarkable team. 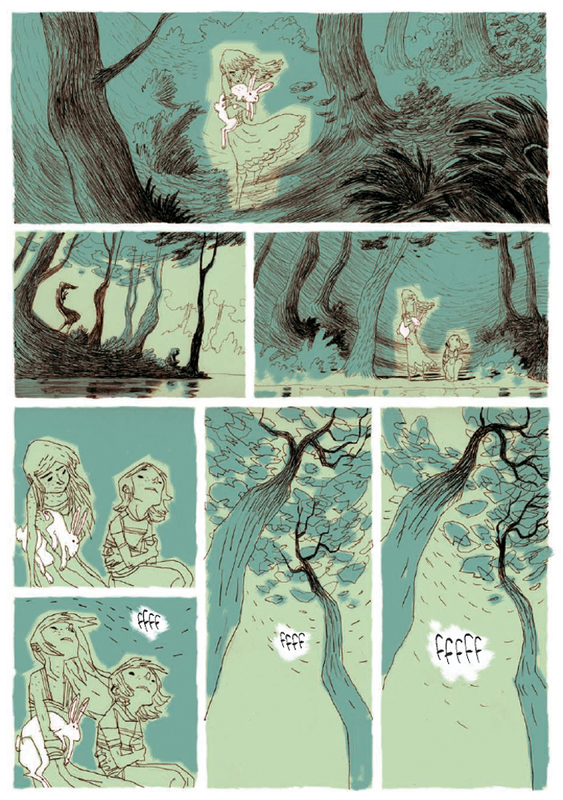 The color by Cauuet and GOM has a uplifting quality to it that rounds out and adds to the story’s pacing. There are a number of twists and turns here and Lupano and Cauuet give themselves the time to explore and to develop. Like a favorite TV show, you can delight in this episodic storytelling. You will want to go back to the previous books as well as await more to come. 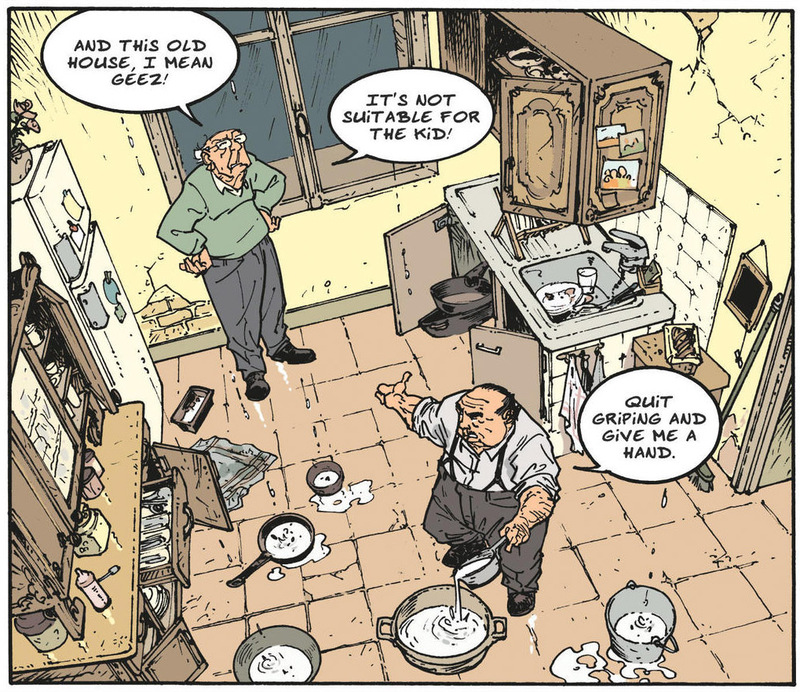 “The Old Geezers: Book 3: The One Who Got Away,” is presented by Europe Comics and is available in English thru izneo digital comics right here. 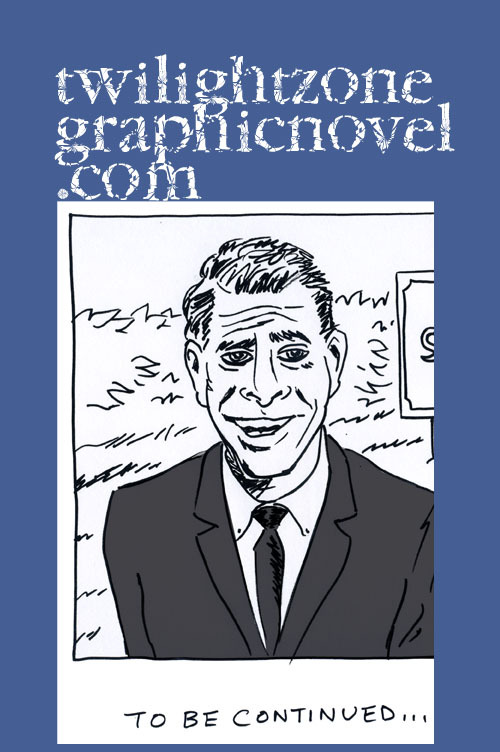 Evoking a quiet moment is one of the most natural and satisfying things to do as a cartoonist. A story takes shape. A conflict. A conversation. 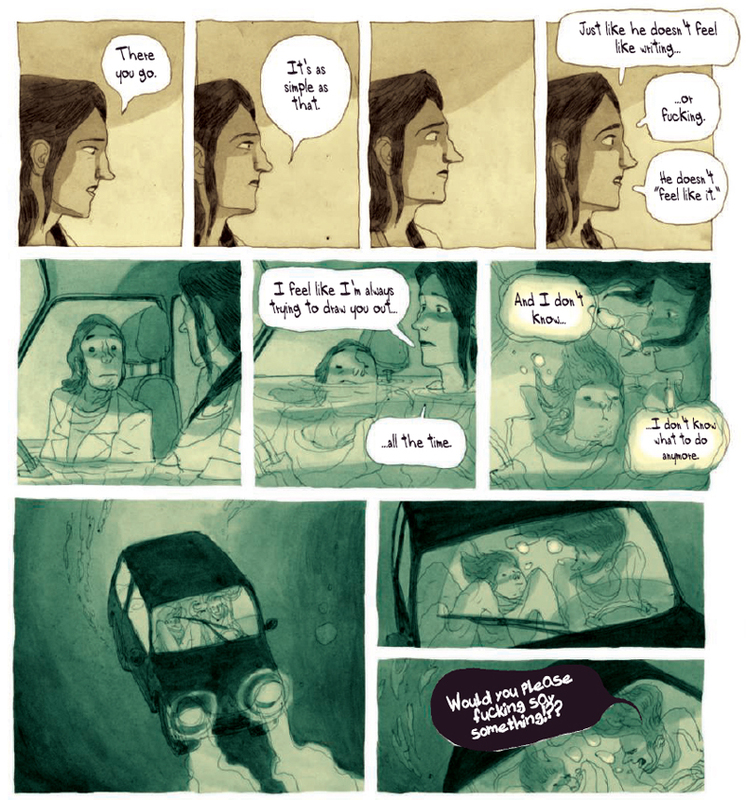 Before long, a compelling story unfolds like Cyril Pedrosa’s “Portugal,” published by Europe Comics. Sometimes what is not said is as important as what is said. Pedrosa plays with the spaces in between words. This is the story of Simon, a young man struggling to find his place in the world despite the fact it would appear that he has everything in place: a loving mate to share a life with, a promising future in his chosen career, and the potential for lifelong stability. But Simon does not see it that way at all. A conflict. Simon is a man who still feels he is only a boy–or a young man with much to learn. Simon is at that age when life has taken root from all directions but he is not ready to settle down. He must either break free or reassess his current state–do something instead of just vacillate. Pedrosa has created a perfect depiction of a Peter Pan syndrome: Simon refuses to grow up. Of course, Simon must grow up in some sense since he’s miserable. Claire, his longtime girlfriend, has been beyond patient with him. The clock is ticking but nothing is moving forward for Simon. Not the most inspiring or likable of main characters, right? Ah, but this is the stuff of life. 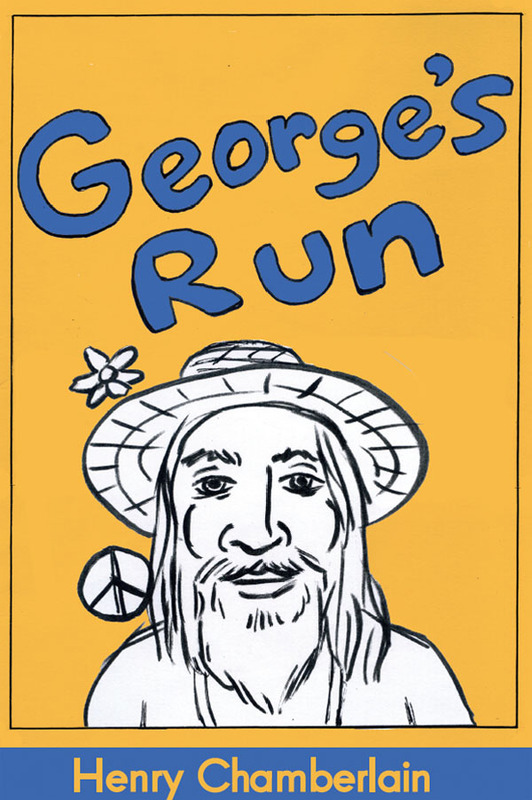 This is a compelling story told in words and pictures by a master cartoonist. It also happens to be loosely based upon the author’s own self-journey. In 2006, at age 33, Pedrosa had his own reassessing to do. A conversation. And then another. Pedrosa does a beautiful job of exploring Simon’s struggle even when his main character is the least cooperative, either hovering or drowning. There seems to always be someone open to pursuing a conversation with him not the least of which is Claire, Simon’s beautiful but beleaguered girlfriend. Nothing seems to get through to Simon. In one scene, Claire literally spells it out for Simon. If only he were to say that he wishes her to stay, she would stay with him. Simon has perfected his way of coping with the world: as little movement as possible; as few words as possible. In this case, with Claire, he chooses to remain silent. It is a moment that rings so true during the process of a breakup. Sometimes, one must read between the lines–or no lines. Another conversation. And then another. If there is one thing Simon needs most, it is to talk and Pedrosa throws his main character into numerous opportunities to do just that. In fact, Simon, stumbles upon what will save him during a visit to a comics festival in Lisbon, Portugal. 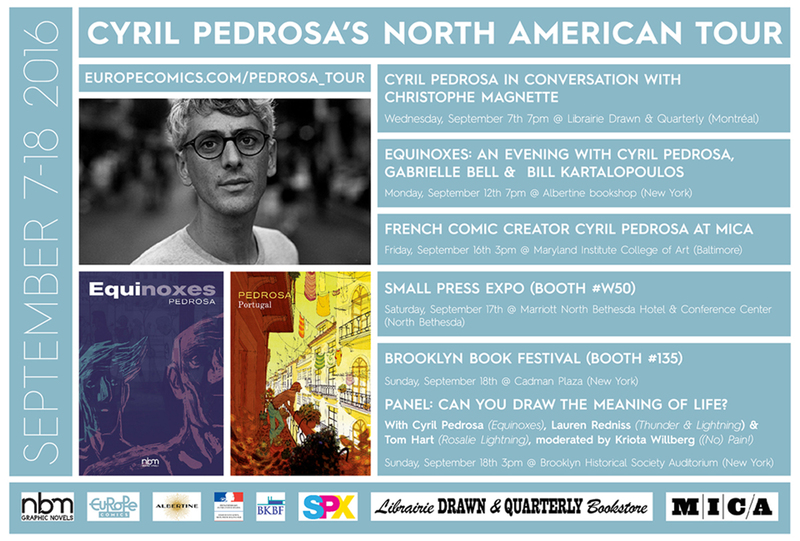 It is an chance for Simon to socialize with his fellow cartoonists as well as with the public. The interaction invigorates Simon. It takes Simon a while to put two and two together. The reason that his Portugal visit enlivened him was that it gave him time to consider his Portuguese roots on his father’s side of the family. 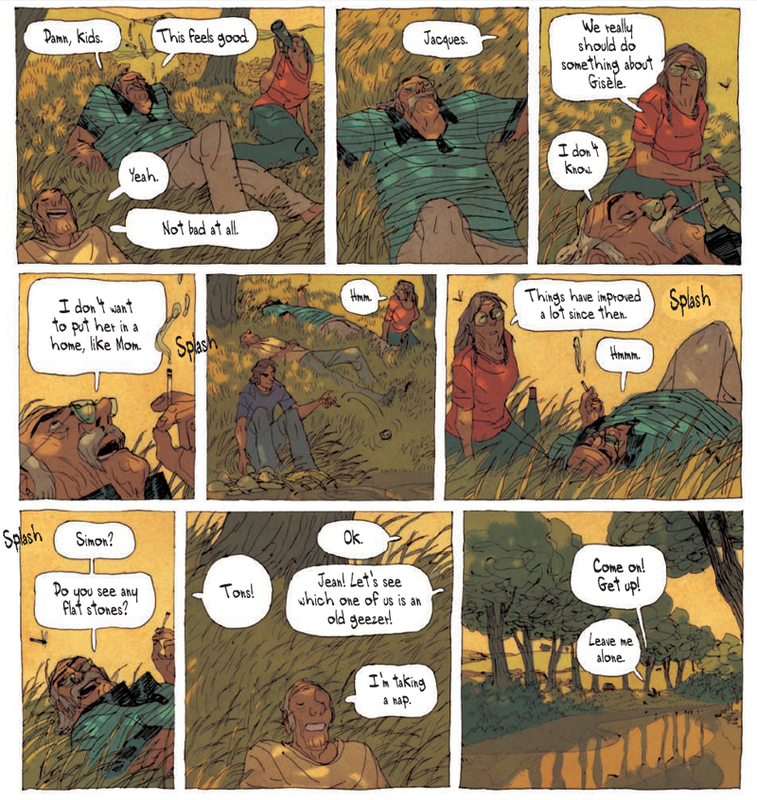 The third act to this graphic novel finds Simon finally turning to family after having remained in his own isolated bubble for so many years. While being around family alone won’t solve his problems, and may cause new ones, it does help Simon find some answers. With some luck and a new will to live, Simon may very well find himself no longer the boy in the bubble. Pedrosa provides you with an exquisitely paced narrative able to pause for quiet moments and sustain the delicate rhythms of human interaction. 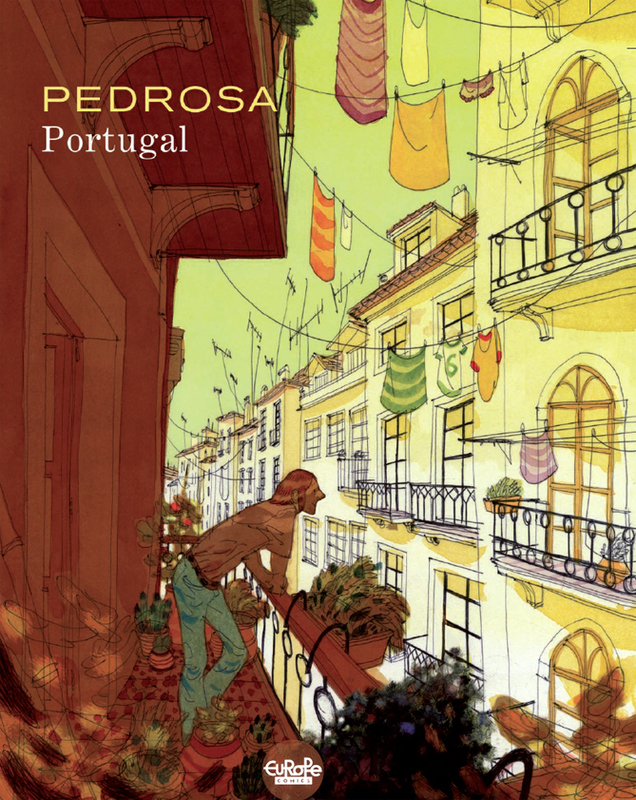 PORTUGAL by Cyril Pedrosa is a 261-page hardcover in full color. For more details, visit Europe Comics right here. You can also find PORTUGAL at Amazon right here. 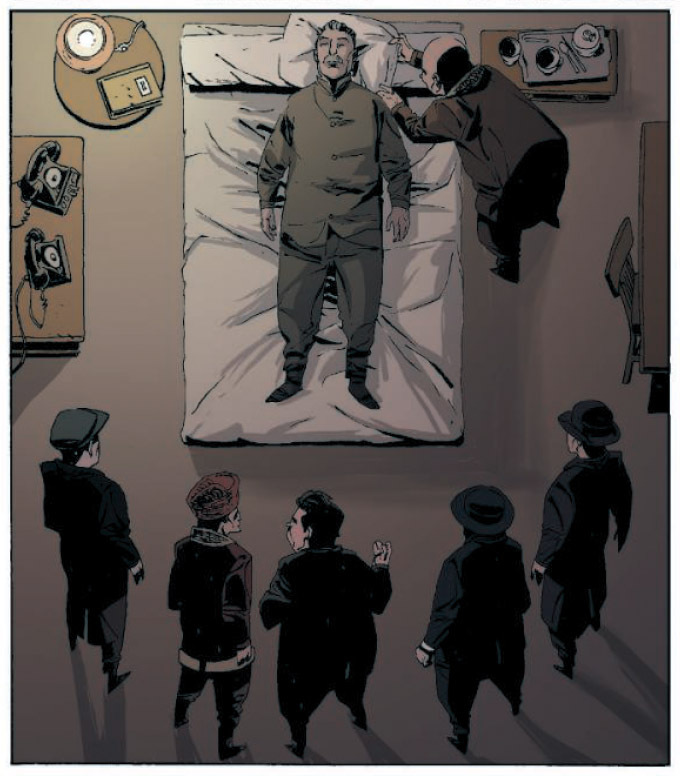 “The Death of Stalin” is a digital graphic novel presented by Europe Comics and is one of various select titles from Europe Comics being promoted at this year’s Comic-Con International in San Diego. This is quite an audacious, vivid, and insightful look at the strange events occurring shortly after Joseph Stalin had a stroke: the chaos and the subsequent grab for power. It is highly accessible: drops you right in, as if you were a fly on the wall, a fly that Stalin, himself, would have thought nothing of swatting and flicking away. Who was Joseph Stalin? If you’re too young to have a frame of reference, that’s understandable. Think World War II. Think dictator. Then add to that one of the great mass murderers in history responsible for the deaths of millions. Joseph Stalin was the Soviet Union’s dictator from 1924 to 1953. And, in that time, he ordered the deaths of an estimated 50 million of his own citizens. So, you can imagine that his death would be a pretty big deal. It once was common to find in your newspaper a grainy official photo of the Soviet leaders proudly reviewing the annual May Day parade displaying Soviet military might. That very same photo would, at a later date, pop back into those same newspapers with the latest news from the mysterious world of the Soviet Union. But the photo was altered: someone had been erased and replaced with someone else. There was plenty of doctoring of photos and executing of comrades during Stalin’s regime. While that may seem primitive by today’s standards, you can see something similar going on in North Korea. I feel like Rachel Maddow now as I hope I impress upon young readers that Kim Jong-un’s regime is a small scale throwback to what the Soviet Union was like. Who Will Take Over After Stalin? To best convey the inner workings of the Kremlin during the last days of Stalin requires a dedication to characters. Go back to that grainy photo of politburo leaders at the May Day reviewing stand. How do you give those ghostly figures some life? Now, that must have been a challenge. This book is up to the task thanks to both a lively script by Fabien Nury and compelling art by Thierry Robin. Without a doubt, you are that fly on the wall. We are told that truth is stranger than fiction. Did Stalin, the night before he had his fatal stroke, really force the national symphony to replay a concert they had just performed just for the benefit of his own personal recording? I would not be surprised. This two part story will thrill political junkies as well as history buffs. We see a relatively young Nikita Khrushchev as he maneuvers for power. In 1953, he was a mere 59 years-old! That’s “young” for Soviet leaders. In a matter of days, the tide would turn in his favor and he would replace Stalin. But not before a chaoic, bloody, and sometimes comical, turn of events. 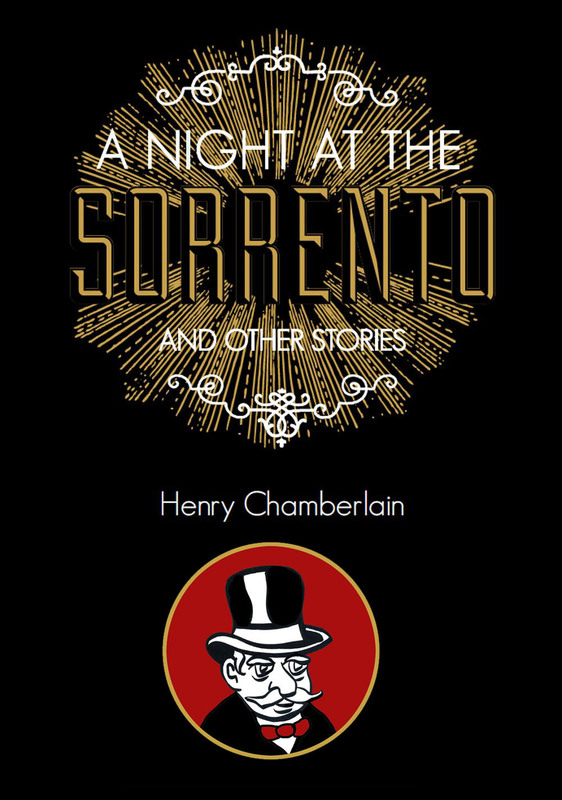 That said, this intriguing story will prove insightful and entertaining for any reader of any age. 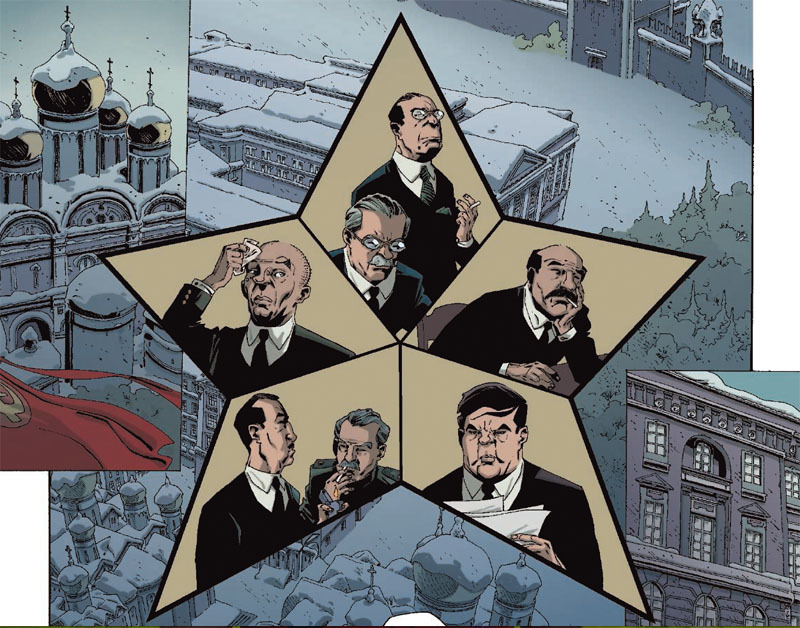 “The Death of Stalin” is now available at Europe Comics, which launched in November 2015 by a coalition of nine comics publishers, two rights agents, and an audio-visual company, from eight different European countries. Europe Comics is working towards the creation of a pan-European comics catalog, available in English and digital format, a website with comics information for readers and professionals, and a series of author tours and events across Europe and the USA.